There are two extremes when it comes to fashion; fast fashion and high-end designer clothing. Fast fashion usually refers to the budget high-street stores you see or the bulk-buy online clothing that you can find. It’s all about cheap and inexpensive garments that generally don’t last very long, but can be of surprisingly high quality. They’re usually very plain and boring, but they can serve you quite well if you take care of them. On the opposite end of the spectrum is high-end designer fashion. This is where you can generally expect to pay around £50 for a shirt or even up to £100 for something like a pair of jeans. It’s a lot more expensive than the lower-end of fast fashion, but you generally get something that is higher quality and you’ll often pay a premium for the brand itself and not just the product. With two such extremes, it can often be difficult deciding where to purchase your clothes. So here are a few top tips to help you find the right balance between fast fashion and high-end designer clothing. Will you be seen wearing it? If you’re just looking for some underwear or pyjamas, then nothing’s wrong with going a bit cheaper as long as it’s still comfortable. For instance, finding a reputable lingerie outlet store isn’t hard and it can give you lots of good quality garments at affordable prices. It’s not high-end but it’s not fast fashion either. It’s a good balance of cost to effectiveness and since you’re not going to be seen wearing it (at least, in public) then you can afford to go a bit cheaper. If you are going to be seen wearing it, then you’ll generally want something a bit more trendy. This often doesn’t have anything to do with the price, but with higher-end fashion, you typically have more choice in colours and patterns. 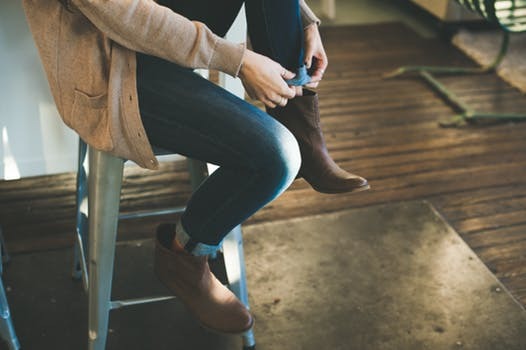 With fast fashion, your clothing can look ragged due to the materials used and the construction of the garments might make you feel a little uncomfortable. Fast fashion takes up a lot of space. It’s cheap and effective, but you’ll ultimately need to replace garments within a few weeks or months and you might end up dedicating too much space to it in your wardrobe. On the other hand, buying more expensive garments means that you’re more likely to look after your clothes. You’ll steam them, dry clean them and keep them stored properly. This extra care, in addition to the superior quality, means that you’re less likely to have an overflowing wardrobe and you’ll have more pieces that will last a long time both in style and durability. To conclude, the general rule of thumb is to wear fast fashion if you have space and won’t be seen wearing those clothes. If the clothes you wear will need to be disposable (because of your work or because you’re working out in them) then it’s fine to go cheaper. However, if you want to make yourself comfortable and presentable, it’s best to shell out a bit more money.